Thyroid issues are more common than you’d ever imagine. More often than not, they’re misunderstood, misdiagnosed, and any condition that’s misdiagnosed will be mismanaged. Thyroid issues often have little to do with they thyroid gland itself, and far more to do with breakdowns in other parts of the body. That’s why it’s impossible to heal your thyroid issues by taking natural desiccated thyroid, synthetic thyroid medication or compounded thyroid hormones: there are numerous other contributing factors involved that need to be addressed before thyroid function can be normalized. 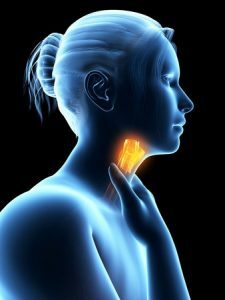 If you’re dealing with thyroid issues, this article can help you understand what’s really causing them, and help you figure out what to do to heal them. The answers always exist, though it’s disheartening how few practitioners really understand either the problem or the answers. The following is a description of the main thyroid issues that people deal with. Thyroid physiology is very complicated stuff, and I’ll make it is simple as possible to understand. You may find it helpful to refer to the above common terms section for clarification. This pattern is caused by elevated cortisol, which is in turn caused by early and mid-stage adrenal fatigue, active infection, blood sugar imbalances, chronic stress, pregnancy, NAFLD (non-alcoholic fatty liver disease), hypo and hyperglycemia, and insulin resistance, i.e., metabolic syndrome. These stressors fatigue the pituitary gland at the base of the brain, and in a fatigued state, the pituitary isn’t able to properly signal the thyroid to release enough thyroid hormone. In the case of pituitary-induced hypothyroidism, it’s unlikely that there’s a problem with the thyroid gland itself. T4 is the biologically inactive form of thyroid hormone. More than 90% of thyroid hormone produced by the thyroid gland is inactive T4. It’s produced by the thyroid gland, secreted into the blood supply, and must be converted to biologically active T3 before it can bind to cell receptor sites. Your thyroid may be producing adequate levels of T4, but if it isn’t converted to T3, you’ll experience hypothyroid issues, even though there’s no problem with the thyroid gland itself. This is a very common thyroid issue. Treating underconversion issues with either NDT, synthetic thyroid hormones or compounded thyroid hormones will only mask the underlying systemic problems, and will inevitably allow your health to deteriorate. This common pattern is caused by inflammation and elevated cortisol. T4 to T3 conversion occurs in the liver, kidneys, cell membranes and gut. Compromised function in these parts of the body—which is common—means that your body can’t convert T4 into T3. Inflammatory cytokines damage cell membranes and impair the body’s ability to convert T4 to T3. High cortisol suppresses the conversion of T4 to T3, and low levels of selenium significantly impair the conversion of T4 to T3. As you can see already, there are many contributing factors to thyroid issues, and they don’t stem from the thyroid itself. Elevated TBG is caused by high estrogen levels, which are often associated with birth control pills or estrogen replacement (i.e., Premarin or estrogen creams). To treat this pattern, excess estrogen must be cleared from the body. Thyroid binding globulin (TBG) is the protein that transports thyroid hormones through the blood. When thyroid hormone is bound to TBG, it is inactive and unavailable to the tissues. When TBG levels are high, levels of unbound (free) thyroid hormone will be low, leading to hypothyroid symptoms. Thyroid hormones are fat soluble, and therefore must be bound to transport molecules in the blood. The main transport molecules are TBG, transthyretin and albumin. Transthyretin is the primary carrier of T4 in cerebrospinal fluid (CSF). Low TBG levels correlate with high FT3 levels. This doesn’t cause hyperthyroid symptoms because chronically elevated FT3 levels eventually cause cell receptors to develop resistance to it. It goes without saying that proper interpretation of your lab results, symptoms and clinical and personal histories is critical to arrive at the proper diagnosis and treatment for thyroid issues. In this presentation, there’s adequate (excess) FT3, but it’s signal isn’t being heard because the cells get so used to being awash in it that they tune it out. Reversing insulin resistance and restoring blood sugar balance is the key to treating this pattern. Primary hypothyroidism in conventional medical practice is considered to be due to the inadequate production of T4 and T3 from the thyroid gland. Primary hypothyroidism is associated with iodine deficiency and/or Hashimoto’s in the medical literature. I’ll translate the above paragraph—what primary hypothyroidism really means and why iodine is a crucial component to healing thyroid issues: the medical establishment labels inadequate thyroid gland production of T4 and T3 primary hypothyroidism. It’s most commonly caused by iodine insufficiency. The 4 and 3 refer to the number of iodine atoms bonded to the T (tyrosine), which is an amino acid readily derived from cheeses, meats and other dairy products. Therefore, being iodine and/or tyrosine deficient will cause primary hypothyroidism, because the thyroid gland won’t have the raw materials necessary to create T4 and T3. Without sufficient amounts of iodine, the thyroid can’t produce enough thyroid hormone to supply the body. When this happens, you’re not hypothyroid per se, you’re iodine deficient! 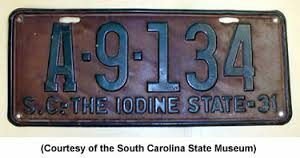 If this is so, why don’t we just make sure to get more iodine in diet? 1. Isn’t excess iodine really bad for you? 2. Don’t I get enough iodine from iodized salt? The answer to both questions is no no no! Iodine isn’t bad for you, and you’re never going to meet your iodine needs by ingesting iodized salt. In fact, I’d recommend categorically staying away from iodized salt and using Himalayan or other natural sea salts. Approximately 20% of FT3 is created via gut microbes. Dysbiosis therefore can lead to an underconversion of T4 into FT3, mimicking other thyroid issues. What is dysbiosis? It’s having an overabundance of opportunistic bacteria in the gut, and not having sufficient quantities of symbiotic, health-giving bacteria residing there. Bacteria are our friends, and life as we know it is a symbiosis with microbes. Most people are shocked to find that the number of bacteria in the gut alone is at least ten times higher than all the cells in the typical human body. We’re more bacteria than human. We’re both. And to have your thyroid physiology functioning optimally, it’s necessary to eat a diet that supports a healthy gut microbiota. Inflammation and autoimmunity go hand in hand with thyroid issues. While predominantly linked to hypothyroidism and Hashimoto’s, Graves’ Disease is also an autoimmune condition which causes hyperthyroidism. Inflammation suppresses the Hypothalamic-Pituitary-Thyroid axis by reducing TSH secretion from the pituitary gland. Inflammation can also suppress the number and sensitivity of thyroid hormone receptors throughout the body. Inflammation also decreases conversion of T4 to T3. Any of the above 8 thyroid patterns can be brought on by either short term illness/stress or long-term illness/stress. In excess of 70% of patients whose thyroid function is tested when receiving treatment in an ICU exhibit low T3 and 50% exhibit low T4 levels. Studies describe a direct relationship between Low T3 Syndrome and the severity of both short and long-term disease outcomes. The lower the T3 levels exhibited by critically ill patients, the more dire the prognosis. Interestingly, critically ill patients do not exhibit clinically significant subjective and/or objective improvement when treated with thyroid hormones—which matches the experience of millions of women who’re routinely treated with either synthetic T4 or NDT. It’s well established in the medical literature that stress is associated with the conversion of T4 into RT3, and it’s assumed that high levels of RT3 are problematic due to the competitive and inhibitory nature of RT3 at the cellular receptor level. RT3 binds to FT3 receptors, blocking FT3 expression. When RT3 is produced in high enough quantities that FT3 expression is inhibited at cellular receptors, hypothyroid symptoms are experienced, though all thyroid hormones can be within the functional range. The Hypothalamic Pituitary Thyroid Axis is the hormonal interplay between the hypothalamus, pituitary gland and the thyroid gland. The hypothalamus monitors serum levels of TSH, T4 and T3, and accordingly increases or decreases the production of Thyroid Releasing Hormone (TRH). An increase in TRH release ostensibly stimulates the pituitary gland to release TSH. TSH in turn stimulates the thyroid to upregulate the secretion of T4 and T3. As serum levels of TSH, T4 and T3 increase, the hypothalamus will downregulate its release of TRH, keeping the HPT Axis in dynamic balance via positive and negative inhibition. This describes how the HPT Axis works in general terms, but there are innumerable influences and variations which exist from person to person that allow for a wide range of what constitutes “normal” function. The set point of each person’s HPT Axis determines the responsiveness of the hypothalamus to circulating levels of TSH, T4 and T3. Furthermore, illness, stress, a person’s current state of health, diet, amount of exercise, age, gender, medications and so forth all factor in to the current HPT Axis set point. Individual variability is thought to influence how the hypothalamus responds to fluctuations in TSH, T4 and T3 hormones. Neurons in the paraventricular nucleus (PVN) of the hypothalamus regulate the synthesis of TSH, and not everyone’s PVN is going to function in exactly the same way. And as described in the above paragraph, there are innumerable factors which influence how the PVN responds to the inputs it receives. Hypothyroidism is the term used to describe insufficient thyroid production of T4 and T3. Euthyroid Sick Syndrome describes the existence of thyroid dysfunction not attributable to insufficient thyroid production of T4 and T3. The important takeaway here is that of the ten causes of thyroid issues listed above, insufficient thyroid gland function accounts for only one of them. Only item 6 above—primary hypothyroidism—results from insufficient thyroid output—and primary hypothyroidism is directly caused by iodine insufficiency. Without sufficient iodine, the thyroid can’t manufacture T4 and T3 in high enough quantities to meet the demands of the body. The other 9 patterns cause thyroid issues, but don’t stem from a hypo or hyperfunctioning thyroid gland. The thyroid gland is like a person who’s apparently been caught red-handed saying, “I didn’t do it! I swear!” Only in this case, the thyroid gland is telling the truth. It didn’t do it. It’s not causing the thyroid issues, and prodding it to increase or decrease its production of T4 and T3 won’t help matters. Over and over I make the same point: focusing on the elimination of symptoms at the expense of considering and healing the person as a whole leads to disastrous consequences. Healing involves optimizing and setting free the body, mind and spirit. Focusing on problems will never set us free. Steven, I’ve been waiting for this! Why haven’t I been getting these posts by email? I’ve read backward through your posts to get the background and definitions to read the newest technical ones. These posts are what I’ve needed when I refer people to you. That process should go more easily now.